Enjoy the food and support the Stonewall VFD all in one location. Call (830) 997-2735 for more information. Stonewall comes together as a community every year to show the local volunteer fire department how much they are appreciated. 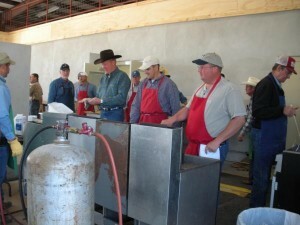 This fish fry benefits the department and helps them be able to purchase needed equipment. Cost is by donation. Tell a firefighter “Thank You!”.